The Chesapeake Bay is our nation’s largest and most productive estuary. The Bay provides recreational and commercial opportunities for humans and is “home” for many animals. Over recent years, the Bay has become a “victim” of pollution. Many Pennsylvania land use practices affect water quality in the Chesapeake Bay. The decline of the Bay has impacted not only the wildlife found living in and around its waters, but also humans who rely on the Bay as a source of income. How can the actions of Pennsylvanians affect the Chesapeake Bay? The Chesapeake Bay Basin is made up of thousands of miles of rivers and streams that supply freshwater to the Chesapeake. The Chesapeake Bay Basin stretches from upstate New York to the Tidewater Region of Virginia. The drainage area covers 64,000 square miles or 41,000,000 acres. Pennsylvania makes up over one-third of the entire Chesapeake Bay Basin, more than any other state. About half of Pennsylvania (52%) lies within the Chesapeake Bay Basin. Within Pennsylvania’s portion of the Chesapeake Bay Basin, the Susquehanna River drains 92% of the watershed and the Potomac River drains another 7%. The remaining 1% of the watershed drains from the Elk Creek and Northeast River in Chester County, and Deer Creek and Gunpowder River in York County. Three million people, or about one-quarter of the entire Chesapeake Bay Basin population, lives in Pennsylvania. The Susquehanna River flows 440 miles from New York through Pennsylvania and Maryland and into the Chesapeake Bay. Most of the river lies in Pennsylvania. The Susquehanna River has an average flow of 19 million gallons of water per minute, the highest average flow of any river in the eastern United States. The Susquehanna River supplies 50% of the freshwater entering the Bay. Pennsylvania’s portion of the Potomac River contributes an additional 2% to the Bay’s freshwater supply. Although the average depth of the Chesapeake is only 30 feet, a channel over 180 feet deep runs through its center. The channel is the original Susquehanna River bed, dating back to the Ice Age. Nutrient pollution — caused by excessive amounts of nitrogen and phosphorus — impacts local water quality and the Chesapeake Bay. Excess nutrients cause an overgrowth of algae, called algae blooms. Algae blooms deplete oxygen supplies and block sunlight needed by aquatic plants and animals. Pennsylvania contributes an estimate 36 percent of the nitrogen and 25 percent of the phosphorus entering the Bay. Animal manures and commercial fertilizers can pollute local waterways if applied in excess of crop needs. Over half of the nitrogen and the phosphorus entering the Susquehanna River comes from agricultural runoff. Improper fertilization of residential lawns and gardens, malfunctioning septic systems, industrial activities, and air deposition of nitrogen and phosphorus can also affect water quality. The Pennsylvania Chesapeake Bay Program was launched in 1984 in response to an Environmental Protection Agency study that reported the health of the Bay is declining. The Pennsylvania Bay Program is supported by state and federal funds. The Program is administered by the Department of Environmental Protection’s Bureau of Water Quality Protection and is implemented at the local level by county conservation districts. In 1987 Pennsylvania furthered its commitment to protect and restore the Chesapeake Bay and joined the governors of Virginia, Maryland, and the District of Columbia in the signing of the Chesapeake Bay Agreement. The Agreement set a goal of reducing nutrient loads entering the Bay by 40 percent by the year 2000. The program is a cooperative project between state, federal, and local agencies and organizations. A voluntary effort of Basin landowners to help reduce agricultural runoff. A nonpoint source pollution control program within Pennsylvania’s portion of the Bay watershed. 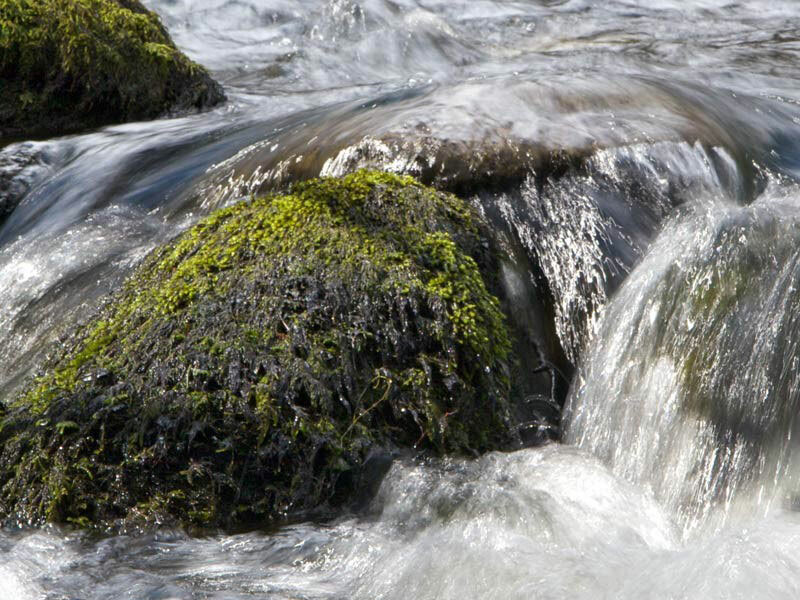 A technical and financial assistance program for farmers who are interested in installing prescribed management practices to reduce water pollution. An educational outreach effort teaching farmers, students homeowners, local governments, and private industries about Pennsylvania’s connection to the Chesapeake Bay. About half of the PA Bay Program funds are devoted to cost-sharing Best Management Practices (BMP’s) that reduce agricultural pollution. 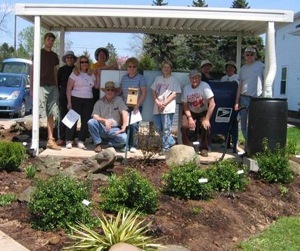 Pennsylvania’s Bay Program also offers grants for demonstration projects and educational activities that show how Pennsylvanians can improve local water quality and protect downstream areas including the Chesapeake Bay. For further information about the Pennsylvania Chesapeake Bay Program, contact the PA Chesapeake Bay Education Office, 25 North Front Street, Harrisburg, PA 17101 (717-238-7223) or the DEP Chesapeake Bay Office at http://www.dep.pa.gov/Business/Water/Pages/Chesapeake-Bay-Office.aspx. For up-to-date information about Chesapeake Bay cleanup efforts in Virginia, Maryland and the District of Columbia, contact the Chesapeake Bay Regional Information Service (CRIS) at 1-800-662-CRIS. The regional Chesapeake Bay Program Website is located at https://www.epa.gov/chesapeake-bay-tmdl.